We all are unique and special in our own ways. Just that at times we forget our worth. So at times You have to remind yourself you are an amazing person..You can overcome the hurdles this is part of life..You can inspire others to do great things. I know you may feel unimportant or insecure at the moment but know that you are a beautiful human being inside and outside..you are important. You are needed..
A new dawn.. new sapling.. new beginning is on your horizon waiting for you.. Show the courage to push through. And see your struggles are over... Declare yourself victorious. Do this with passion. 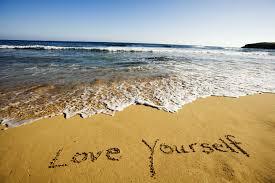 Your own self-talk is a very powerful tool in cultivating your belief system. If you are defeated in your thoughts you will be defeated in your life. If you are a champion in your thoughts - your success is inevitable.